Below is a video of the easy hoop routine that we will be performing. We would love for you to learn it and join in with us! Please note, we had just put together the routine when we made the video, so Bernadette a couple of ‘moments’ as she is performing it. However, this also demonstrates that this is okay, and all you need to do is pick the hoop back up, and join in again when you can. The aim of this flash mob is fun and participation, not perfection. If you feel like it would be too much to learn this routine then you are welcome to come along on the day and just waist hoop. We would love for you to join us – you can do it! Let’s have some hoop fun! You can post videos of your progress with learning the routine on the 10 Minute Club Facebook page. We will have a short group practice at the Hallswell Community Hall, 450 Halswell Road, at 10:45am on Saturday 16 June. 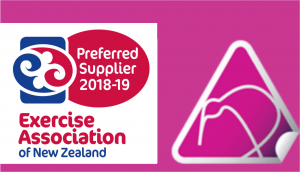 The other hula hoop “flash mob” you can be part of is the Super Heart Hoop-Off event itself happening on Sunday 28 October 2018 in Hagley Park, Christchurch. As part of this event we will be aiming to set a new NZ record for the most people together in one place hooping for at least 2 minutes consistently. We are working on having at least 300 people participating in this so it will be a very Super hoop flash mob.